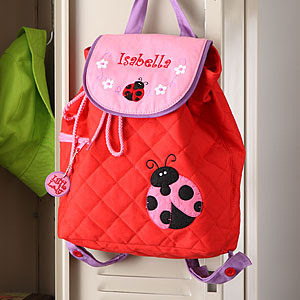 There are many reasons to shop Personalization Mall for your Back-to-School wants and needs. I'm going to give you (5). The quality of these products makes them an investment not only for the upcoming school year, but for literally years to come. My family and I have purchased from Personalization Mall before, and the quality of what you're buying is worth every penny and more. Made from only the best materials and put together with care, these are items you will be happy and proud to give to your kids. You can the embroidery on this example is amazing. Everything you order from Personalization Mall can be personalized (hence the name). This is perfect for children on their way back to school because it gives you instant assurance that your child (or someone else, if an item ends up in lost-and-found) is going to know the product belongs to them. Again, I would be remiss if I didn't mention that the quality of the personalization is outstanding as well. In the example above, you can see the embroidery on the name is really second-to-none. The items at Personalization Mall are affordable. You're getting outstanding craftsmanship for prices comparable to what you're going to find in the department stores, and in so many cases, your items are going to last a whole lot longer! You want your kids to stand out and feel good about the items they are taking to school . The items sold at Personalization Mall are unlike those you will find most anywhere else, and the personalization makes them very unique! With items like the backpack you see listed above, is it any wonder Personalization Mall is a favorite for parents everywhere? You're going to get some major cool points with the kids when you buy any of the back-to-school items offered. Those are just five reasons to shop at Personalization Mall. There are others...lots and lots and lots of others. But don't take my word for it. Head on over to the site, and take a look for yourself. That's five mighty great reasons. I love the cool factor. So important with kids. This is fantastic. I think they appreciate it so much more when their stuff are personalized too. Plus all these are quite cute! 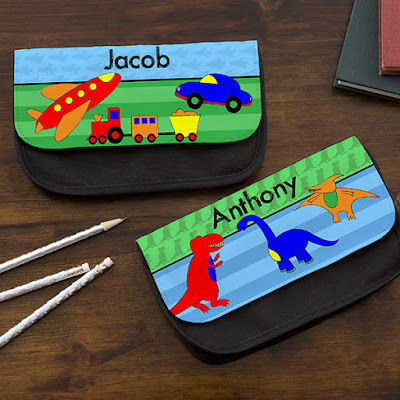 It is so great getting personalized stuff for your kids to take to school when they are little! It is easier to keep track of for them and for their teachers! I believe personalized items are the best, nothing makes kids feel better. That is why I always sew my kid's bags and such. I love personalized gifts, especially for school!! These are all great ideas!! Allison loves all things personalized. I should have a peek here and see if there is anything I can grab to put back for Christmas for her. These are so much unique, I bet your kis would be so proud and thrilled with these. I will check it out for my kids. These are adorable, but I'm going to play Devil's Advocate here. I didn't put my kids names on things because it can lead to trouble. The stranger creepy sees the backpack and calls the kid by name. They hear their name and stop . . . We did initials. I've always loved personalized items. I actually have gotten my son a lot of personalized items already. I haven't gotten him a personalized water bottle yet though. Those are cute! These are pretty. I like personalizing my kids' school stuff. I love the backpacks. I love love personalized items. I have personalize water bottles for my kids and labels in their backpacks, but I would like to get those personalize too. Lots of cute ideas. Easy to keep track of for small children, and easier still if it ends up in Lost and Found. I love personalized gifts for kids. It is especially nice when they go back to school and kids lose many of their new supplies. I love the way the bags are personalized. Young kids tend to misplace their stuff and having their names printed boldly on their school stuff makes it easier to identify. I could use a couple of those water bottles myself! All of these ideas are SO cute, I want to go see all of the options. I especially love the pencil cases! Those are so cute. I love personalized gifts. I have one going to college that might enjoy that laundry bag. I love personalized products for my kids. They are always so cute and they don't have to worry about their items getting mixed up with anyone else's. I don't do book bags and things like that (safety factor) but I am all about everything else :) Especially with unique names! Wow these are super cute and cool! My kids would love these designs. I love anything personalized. 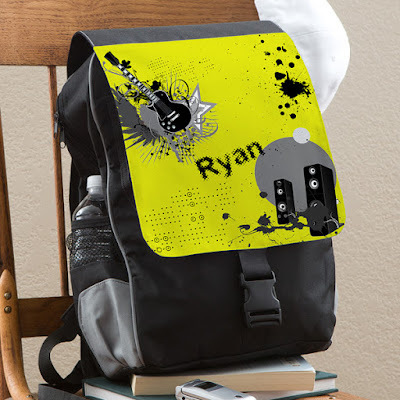 I think it is great for kids to have back to school items that are personalized. I love the back packs. Thanks for sharing. Who doesn't love getting personalized gifts right? So much better than impersonal gifts and children especially love getting stuff that is just for them! I have to agree with you on all of those items! Thanks for reminding me. Got a 1st grader and I have not started shopping yet: great timing! I love personalized goodies. My kids would get a kick out of having their names on all of their back to school stuff. These are so cute! I love that its personalized! I love things that are personalized. I especially like the laundry bag - great for a college student. All good reasons to use Personalization Mall. Especially the prices! There are other companies like this, but you can't beat the price, Really important if you have a house full of kids! Oh, I've never heard about this brand before but these are very, very cute. I do want to get my daughter some personalized stuff I am going to check out their site. I love, love, love anything personalized. I like to give them as presents because anyone who receives them loves them. I love the colors. These are very cute. I would love to shop like this for the kids. So much cute stuff! I've ordered from them before. I can't believe it's already to start thinking of back to school. Sometimes personalized gifts strike me as being odd, but for back to school it's nothing short of amazing. I love personalized things. I will check out Personalization mall.